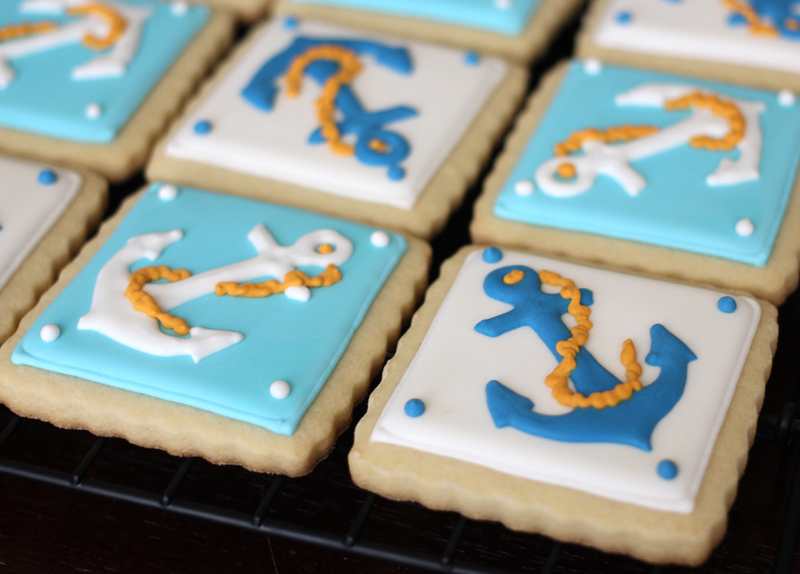 I was lucky enough to be asked to make nautical themed sugar cookies for a birthday party this weekend. A mother/daughter duo happen to have exact same birthday and planned on spending a lovely Saturday on a boat in the bay with loved ones. How cool is that? 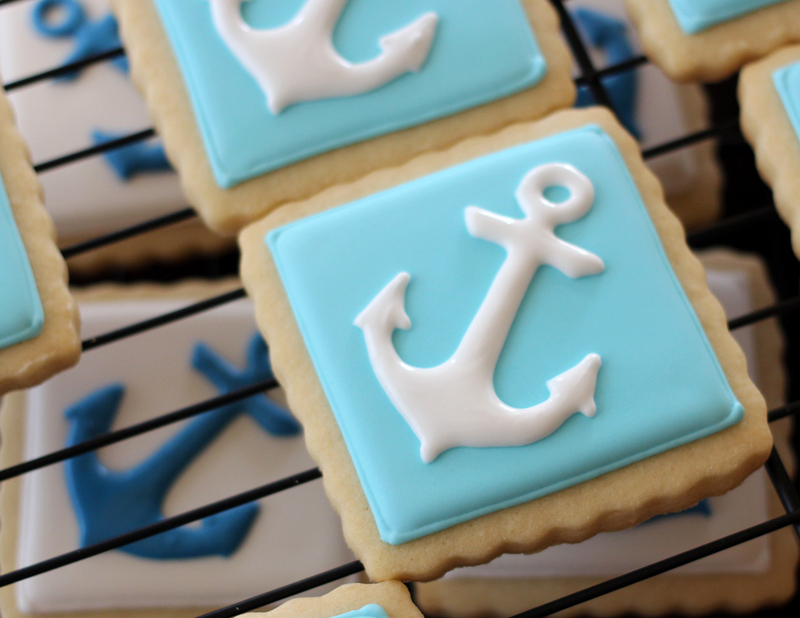 I’m particularly drawn to the image of anchors, thanks to my love for many things rockabilly related, so I was really excited to make these cookies. 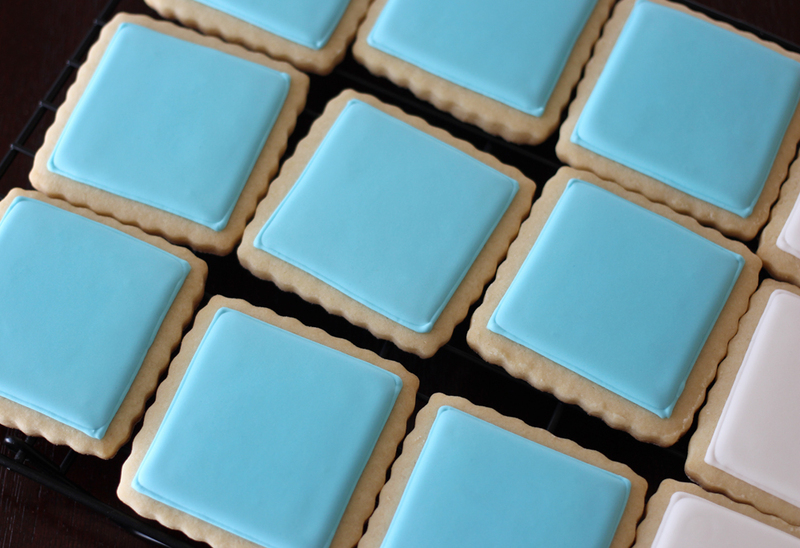 These cookies were all done with the help of my Kopykake projector. 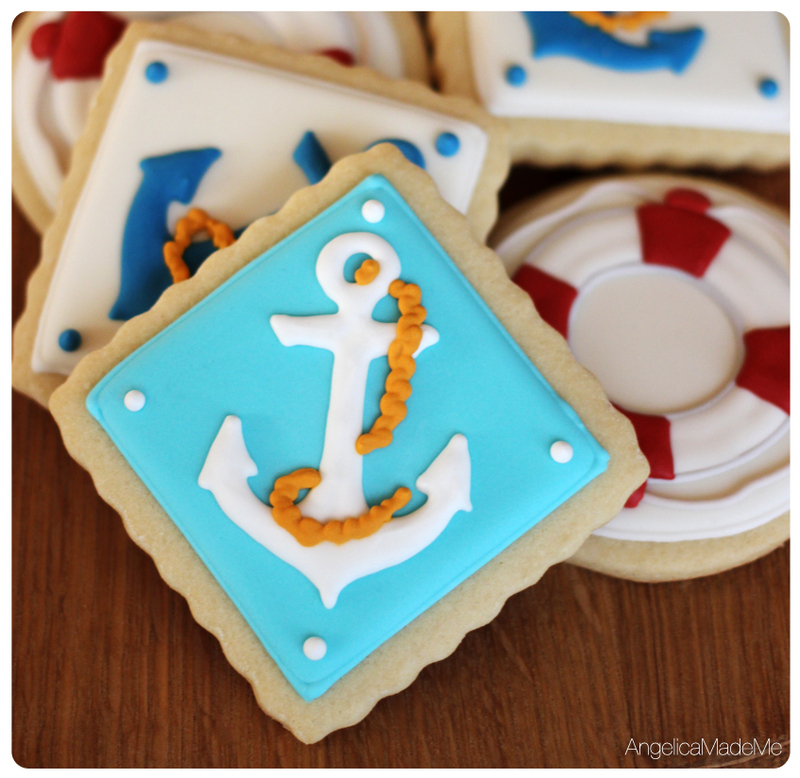 I projected the image of the anchor onto the blank cookie canvases to help guide my drawing with royal icing. 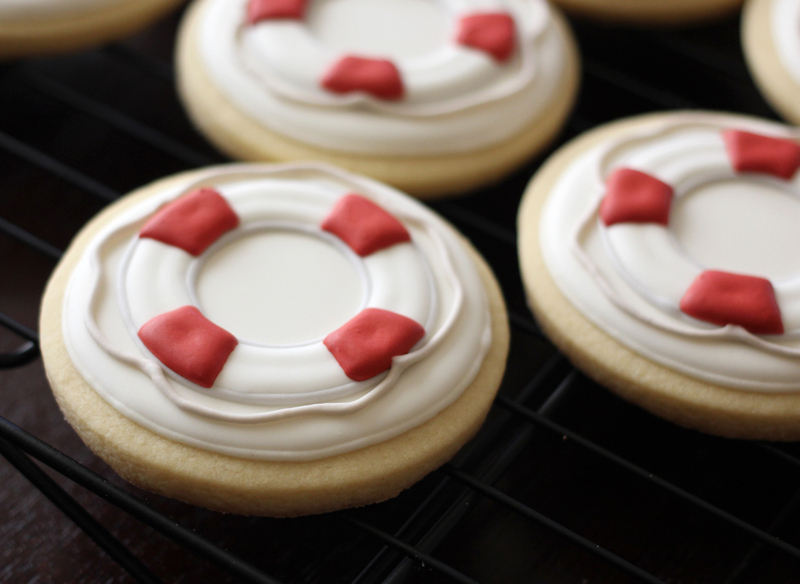 The projector was especially helpful with the life preserver cookies. 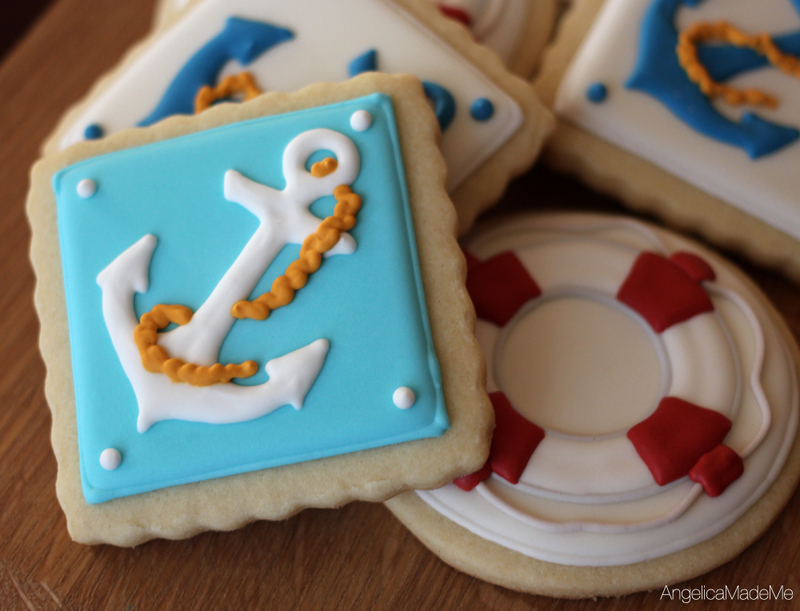 While it might not seem like it, the life preserver cookies were far more difficult to decorate than the anchors. There are three concentric circles (outer background circle, outside edge of the of the life preserver, and inside edge of the life preserver) that leave very little room for error. If one of the circles is more than a little off, there’s just no hiding it. There are also far more steps to create the life preserver. The background must first be filled and allowed to completely dry. Then, the outside/inside edges of the preserver have to be drawn and left to dry before being filled with white. Once that is left to dry, the red accents are drawn on. Oh yeah, and there’s the rope and additional red to cover the rope. See what I mean? Surprisingly complex stuff here! What do you think? My husband, who has seen just about everything I’ve made, was pretty damn impressed. If I can make something that gets unsolicited props from him, I know I’m on the right track. 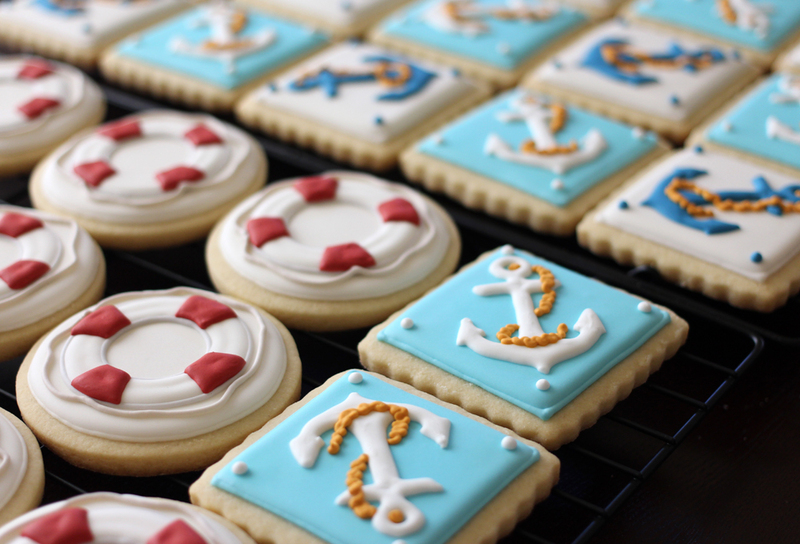 Thanks for the great work, I am the husband/father of those women and the cookies looked terrific! I waited too long to let others see them and by the time I got “below deck” again they were gone. Teaches me to get a bite early next time.I have enjoyed your work before at Tessa’s home. I admire your patience and attention to detail, two skills I have yet to develop. Thank you so much for your kind words as well. 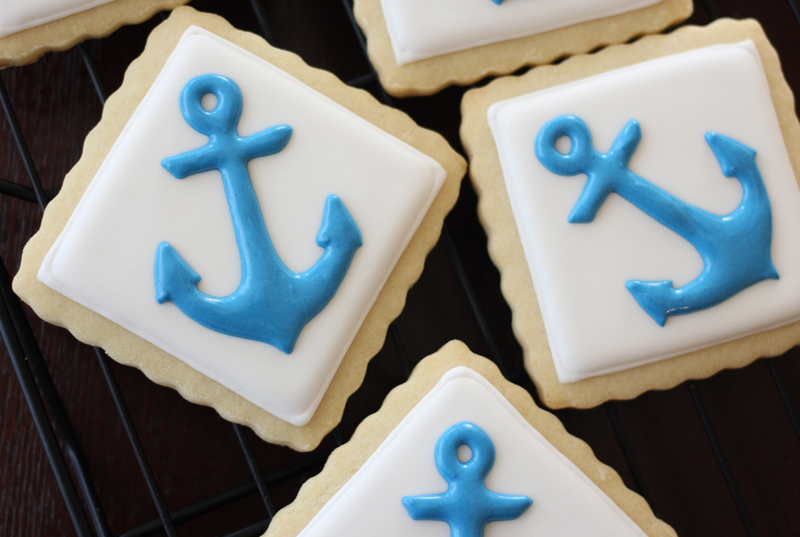 I’m glad to hear that patience and attention to detail are reflected in the cookies. I don’t always feel patient when things go awry, but when things work out, it’s AWESOME.